More than 800 officers conducted 53 search warrants on Thursday morning as part of “Project Patton,” a nine-month investigation into the alleged street gang, which police describe as a criminal organization. The raids resulted in 75 arrests and more than 1,000 firearm, drug and gang-related charges. Among the 75 suspects are nine women, two youth and 68 people with a prior criminal record. “The individuals arrested in this operation are not simply kids being exploited by gang members, nor are they addicts being used to support their addictions, they are organized criminals,” Donald Belanger, acting inspector of the Integrated Gun and Gang Task Force, told reporters at a press conference Friday. Police say 78 firearms worth roughly $200,000 on the streets were seized as part of the raids, including 60 at one address alone, which they described as the largest single seizure of guns in Toronto history. 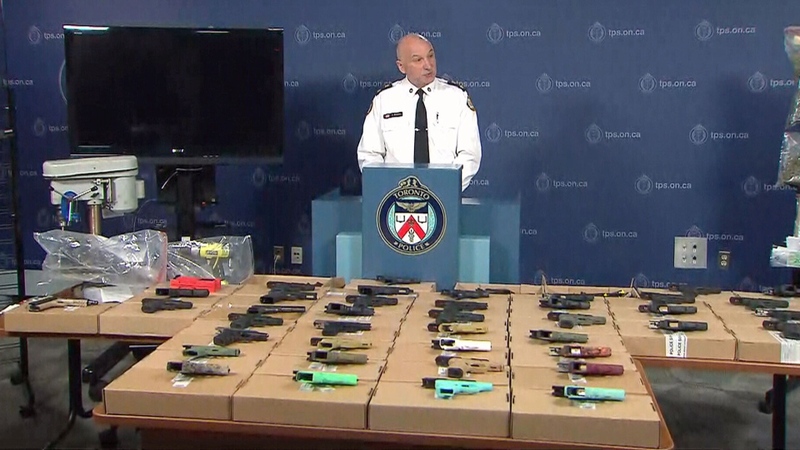 “There is no doubt in the minds of investigators that these guns were destined for the streets of Toronto and the GTA to be used and sold by members of the Five Point Generalz,” he said. Deputy Police Chief Jim Ramer said at one of the raids, officers found a handgun manufacturing operation with a drill press and enough parts to make four additional guns. Officers also found quantities of cocaine, fentanyl, carfentanil, heroin and marijuana worth an estimated $1.2 million and $184,000 in cash police believe was generated through illegal activity. Additionally, police have seized more than 200 “digital devices,” used for communication, Belanger said. 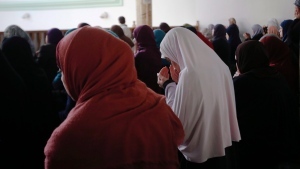 “The removal of such a significant number of violent individuals from our communities will be very positive for the law-abiding community members who have been forced to live amongst individuals who are believed to be gunmen and drug dealers,” Ramer said. Belanger said Project Patton began with intelligence that the Five Point Generalz were involved in numerous murders and attempted murders in the Greater Toronto Area, but he would not disclose which cases the gangs members are alleged to have been involved with. A look at the guns taken off #Toronto streets with #ProjectPatton. All these guns are REAL and capable of causing serious harm. Deputy Police Chief Jim Ramer provides details on the charges the 70 alleged gang members. 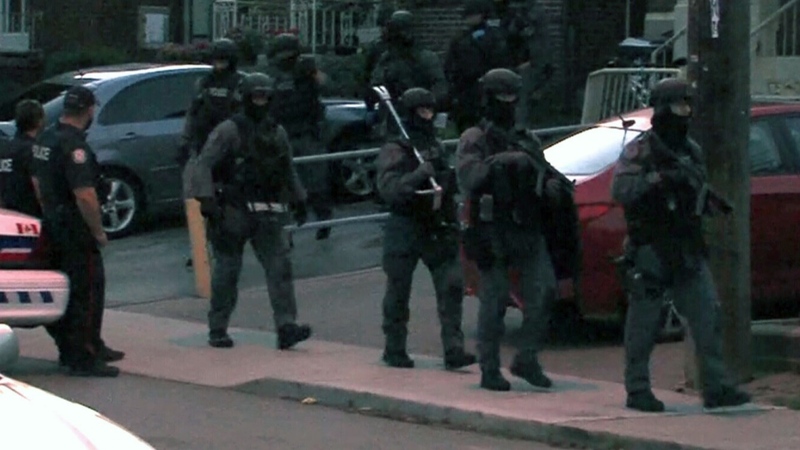 Police officers carry out a raid as part of Project Patton on the morning of June 21, 2018.